Video poker is one of the most iconic casino games and it can be found in land-based establishments around the world. It is also a popular game on the internet due to its similarities with poker and the fact that it can prove to be very profitable with just a bit of luck. The strength of the hand is determined the same way as in poker. Video poker comes in several variations but it is very easy to learn the basics and get started right away. As the name would suggest, video poker is basically five-card draw poker played on a video machine. However, the game is not played against other players or against the house. The goal of each round is to get a strong hand and get paid. The better the hand, the bigger the payout will be. This makes it very entertaining as players have some power in determining the outcome of the game and there is always the possibility of getting a rare combo and cashing in the prize. The game starts by placing a bet. Video poker machines normally have five different bets to choose from and their actual sizes depend on the casino. By choosing a bet, the player also opts for one of five paytables which can come with differences other than the multiplied amount. It is normally better to go for the max bet in order to get the fifth table, since this has the best payout for hitting a Royal Flush. After the bet is placed, five cards will be dealt facing up. The player can choose to discard any of them in exchange for new ones out of the deck in order to try to get a stronger hand. Once the new cards are dealt the payout is granted based on the strength of the hand and another round can be started by placing a bet. The most common variant of video poker is Jacks or Better and this means that the hand must have at least a pair of Jacks in order to qualify as a win. Stronger combinations have better payouts and while the paytables can vary from one casino to another, these generally range from 1:1 for a qualifying pair to 800:1 for a Royal Flush. The table is presented above the cards so that players know what they can get. It is also possible for some machines to have a progressive jackpot for the rarest combination and this can make for a much bigger prize as it will continue to grow with every bet, until someone claims it. Video poker has high payout rates and this make it very popular among casino players. The house edge can range from 0.5% to 1.6% depending on the version and on the table of payouts played. As mentioned before, the return is better when playing for five credits and in some variants, this can even mean a negative house edge of up 0.8% as the wilds actually make it more advantageous for the player than for the casino. Unlike other casino games which are purely based on luck, video poker requires some skill and knowledge but this is fairly straightforward and based around some decisions. The most common tip for video poker is to not break a pair unless it is for a Royal Flush. Even if the pair itself doesn’t quality, the odds are better if you keep it so that you can make three-of-a-kind or double pair than exchanging all the five cards. The exception for the flush makes the risk worth it however since the right card can be really profitable. Following the same advice for a straight flush can also be a good idea. Playing more can mean more chances at winning that big prize and this is where bankroll management proves to be very useful. 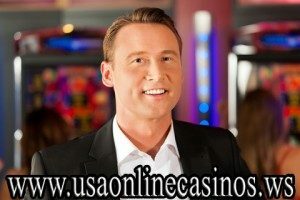 Since you are already playing for five credits, it is important to opt for a version in which a credit is affordable and will allow you to try out a lot of hands without the risk of running out of the money.